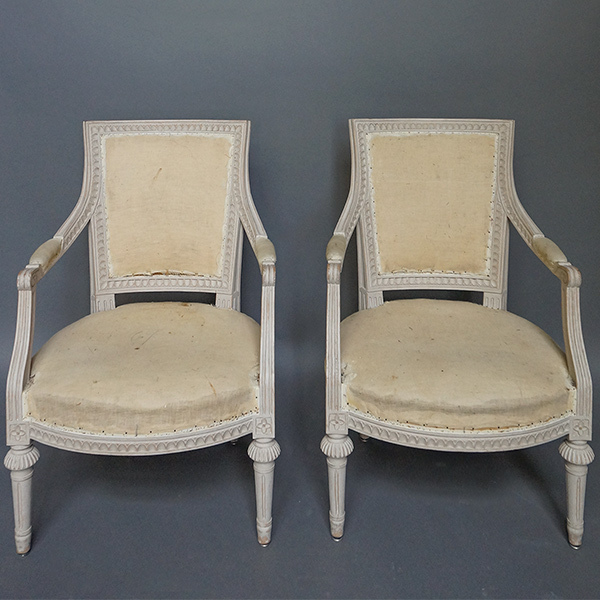 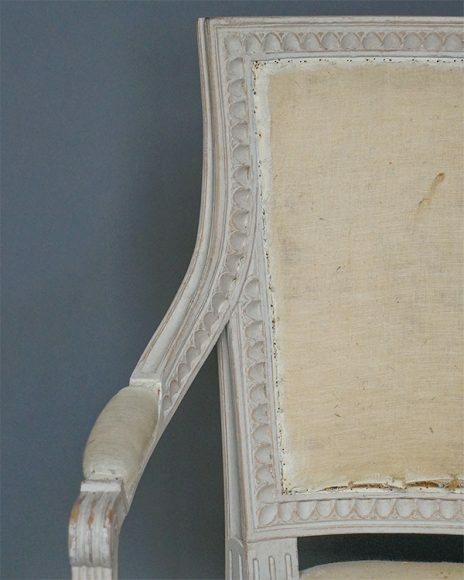 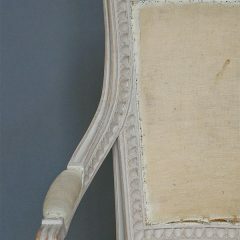 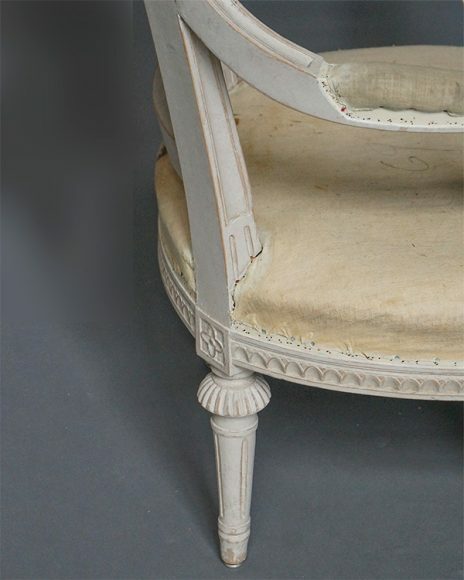 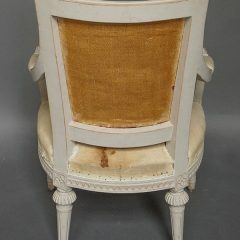 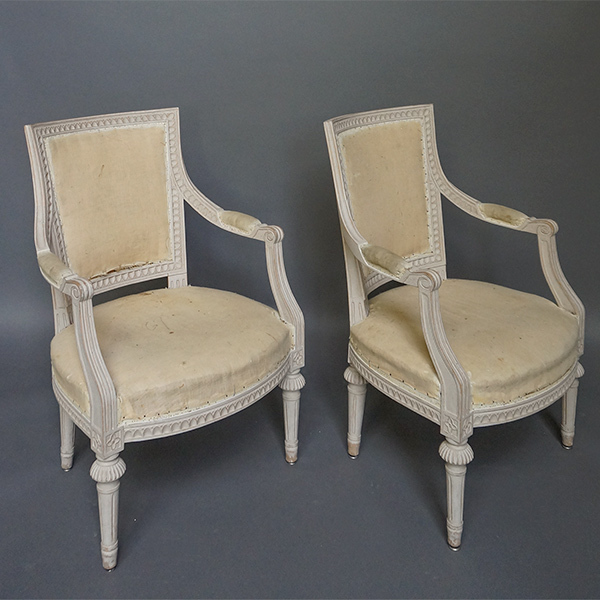 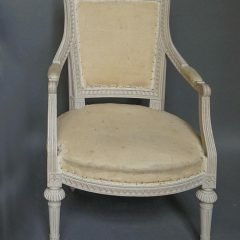 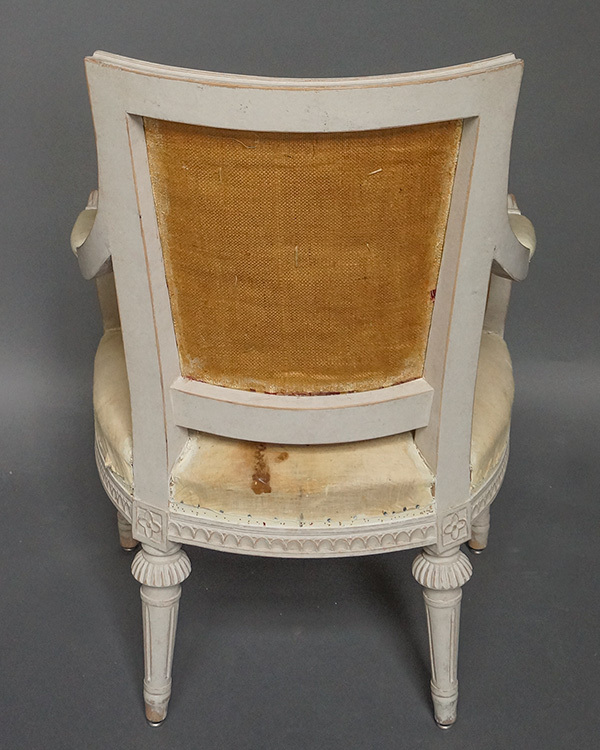 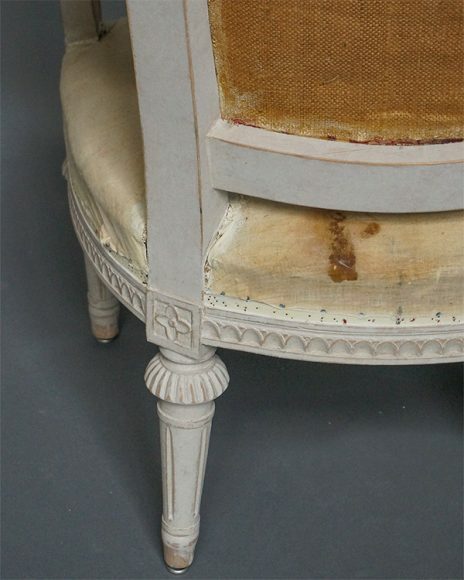 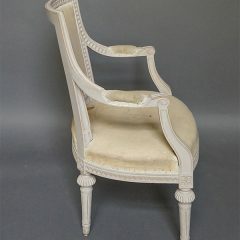 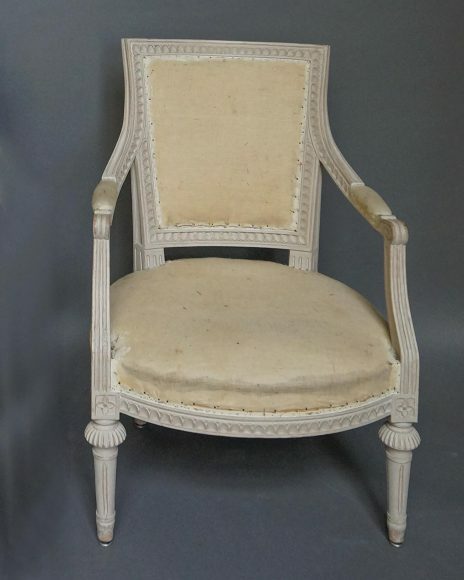 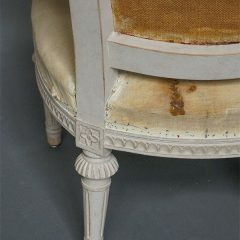 Pair of armchairs, Sweden circa 1910, in the Gustavian style. 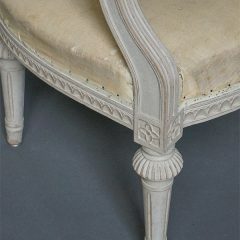 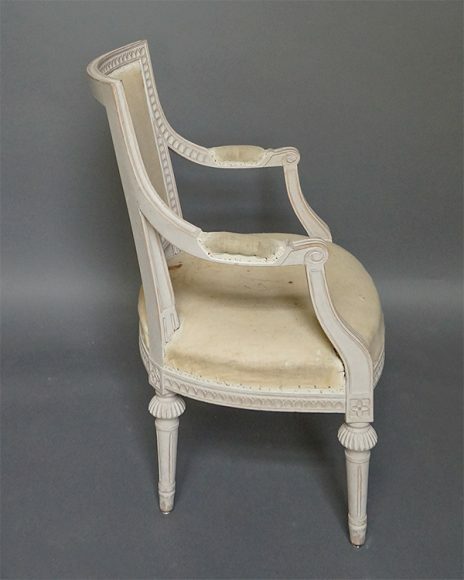 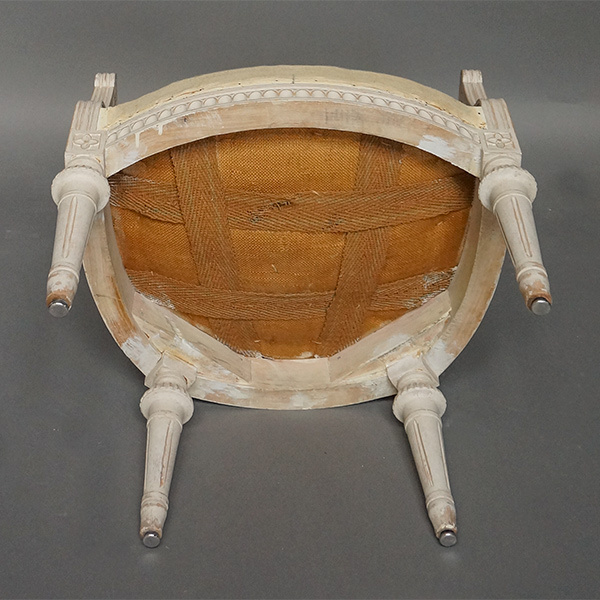 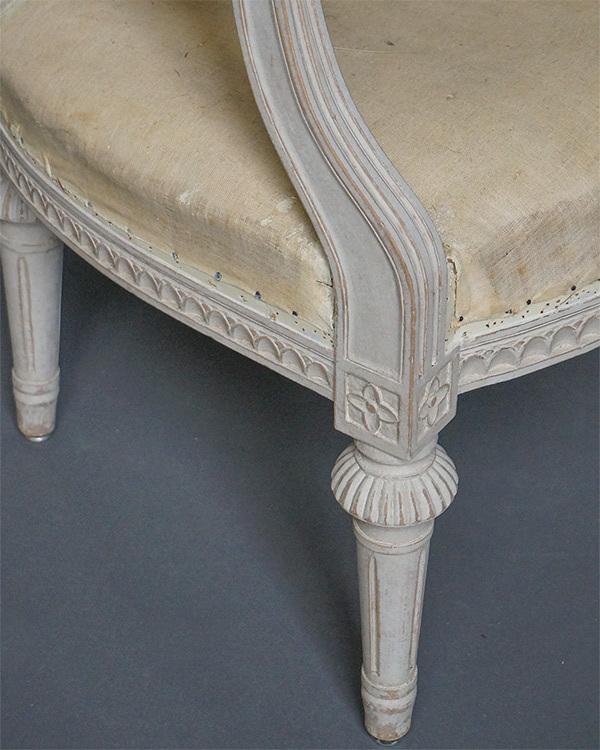 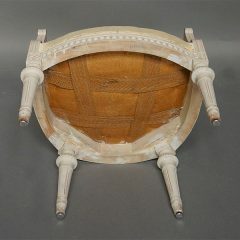 The upholstered backs and seats are surrounded with lambs tongue molding which extends on to the curving armrests. Round, tapering legs. 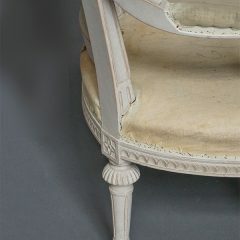 Sturdy and quite comfortable.